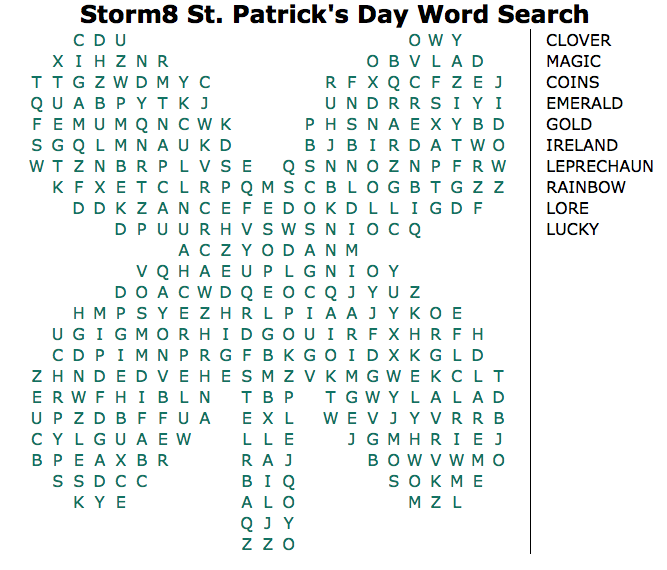 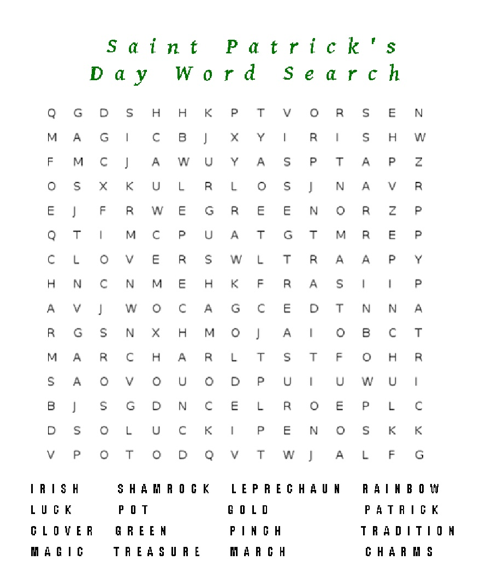 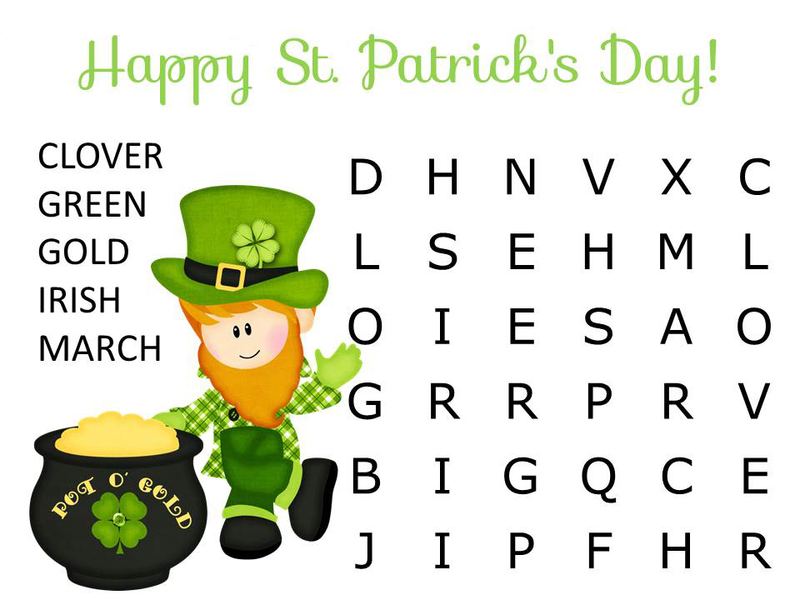 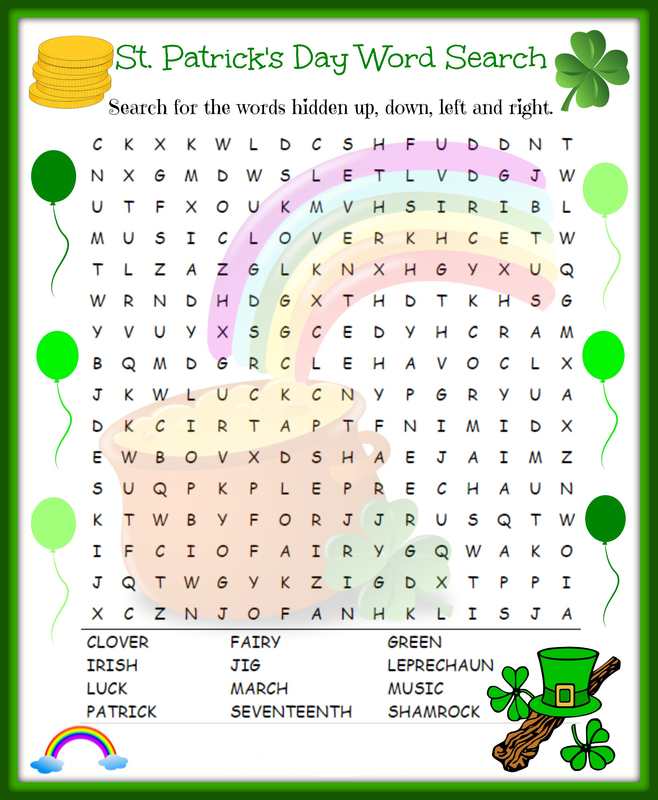 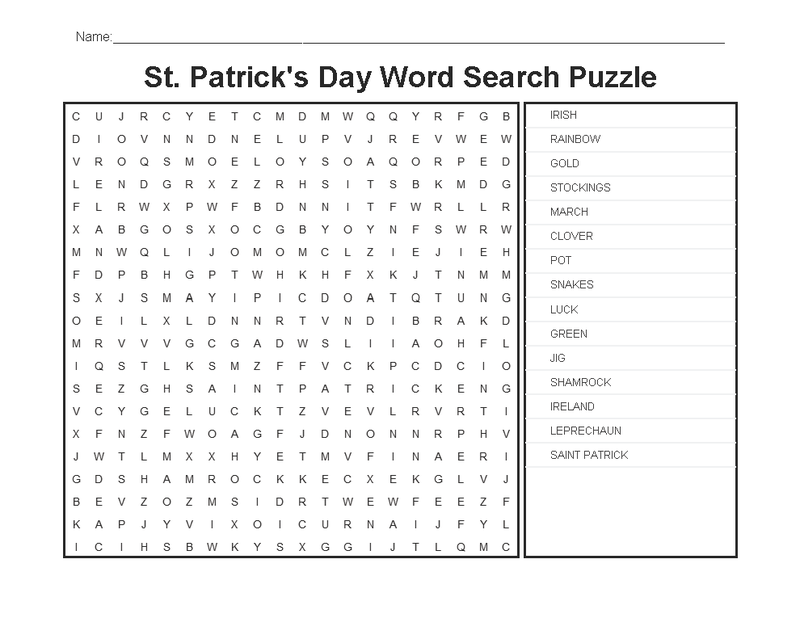 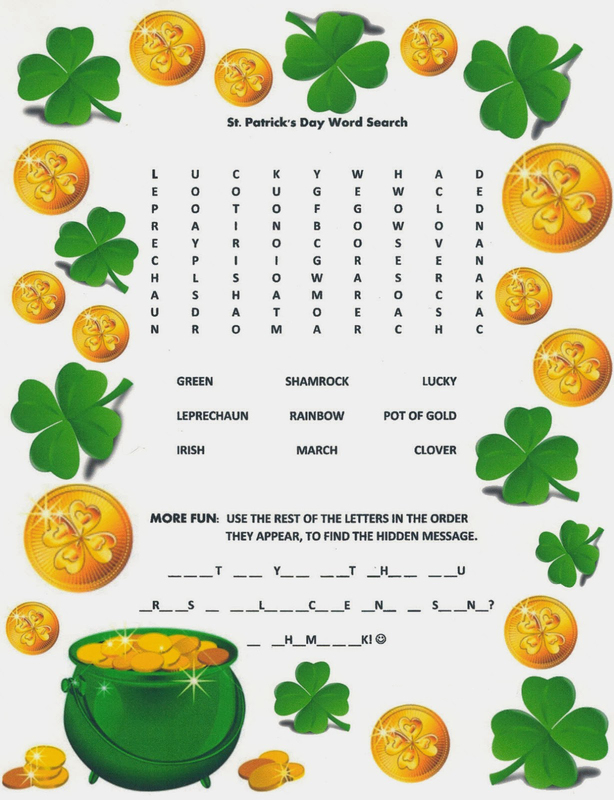 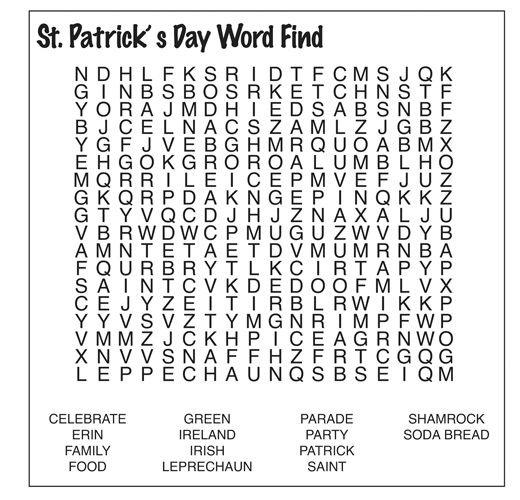 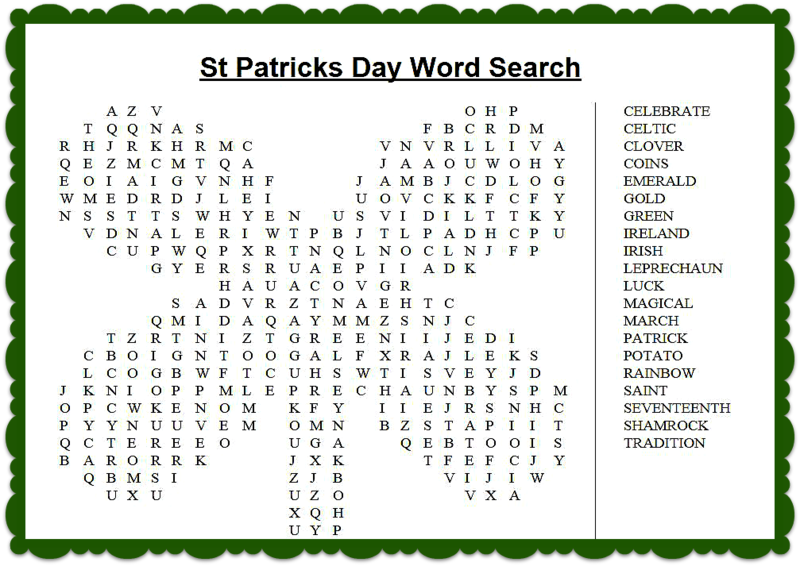 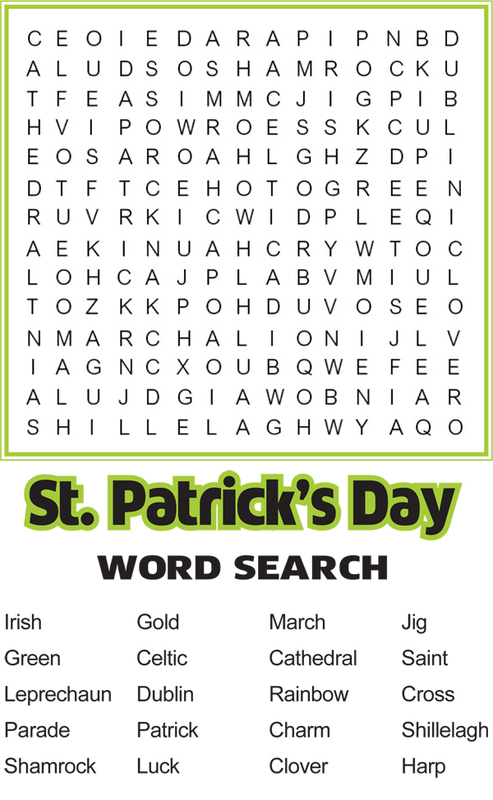 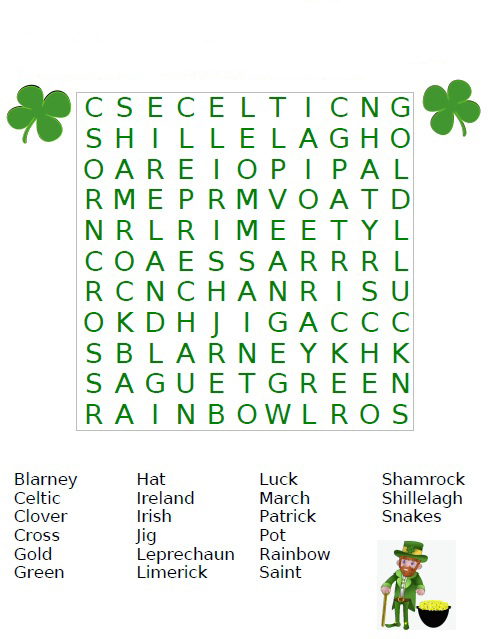 A St Patrick’s Day Word Search is the perfect way to get in the spirit of St Pattys Day. 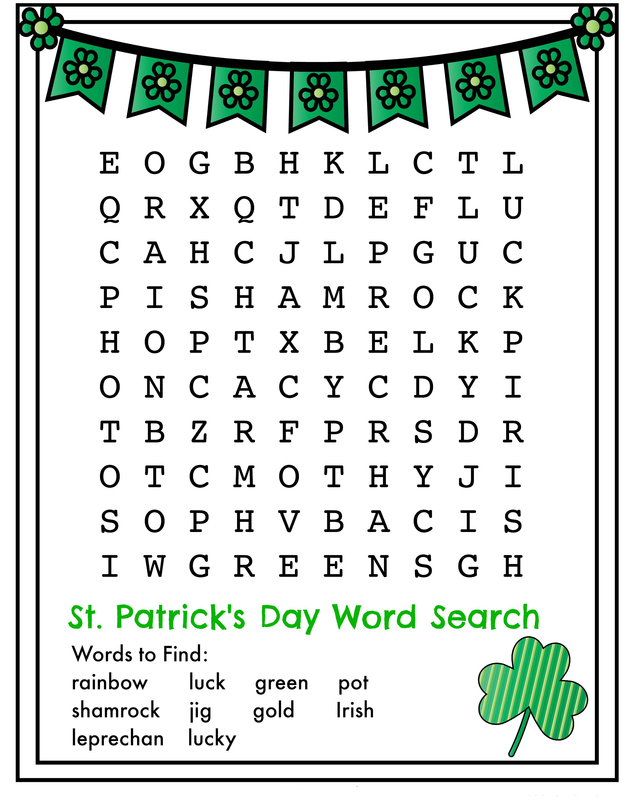 Gear yourself up, get a little green and find the words. 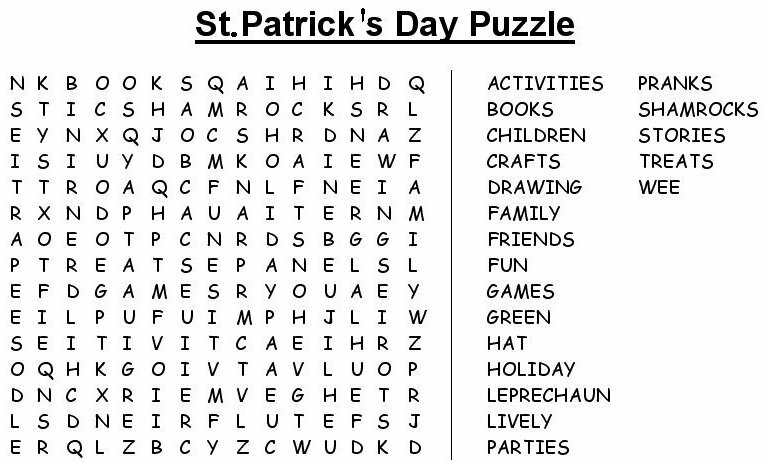 Its sure to make a fun holiday. 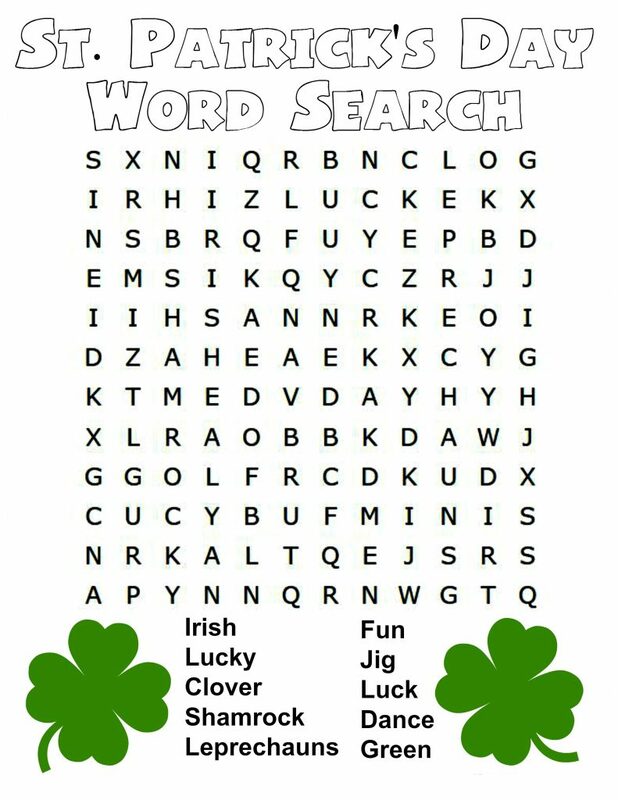 We have many word search puzzles to choose from. 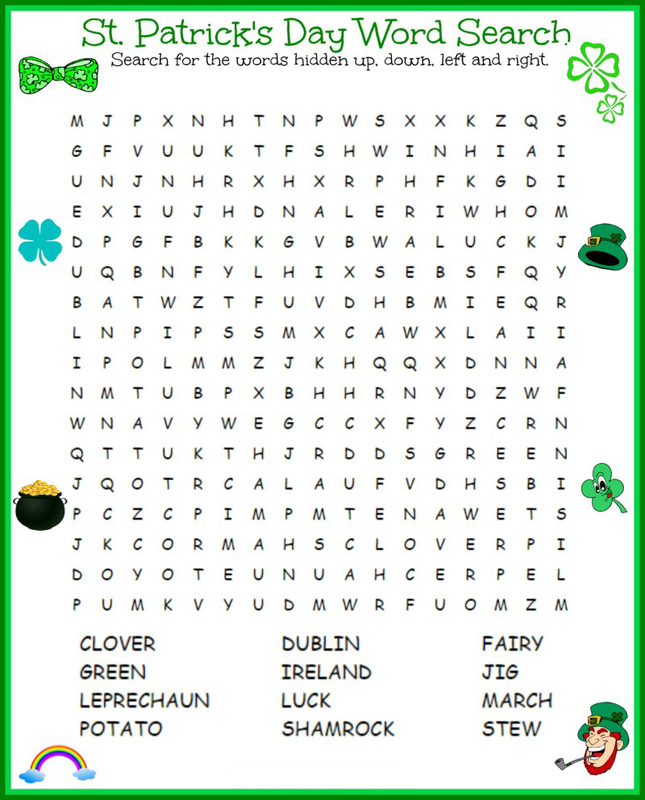 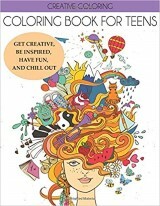 Easy ones for the younger kids and harder ones for the older kids. Print any that you like. 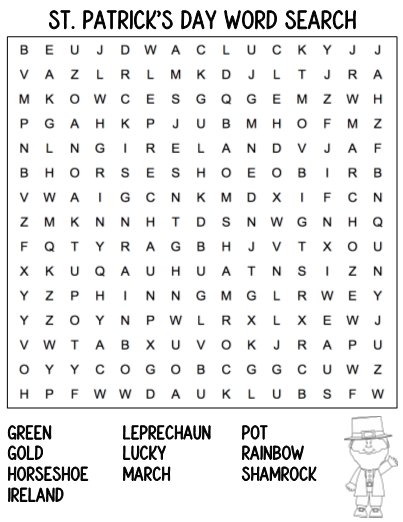 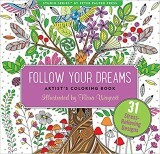 When youre done, we have St Patricks Day coloring pages, worksheets, puzzles. 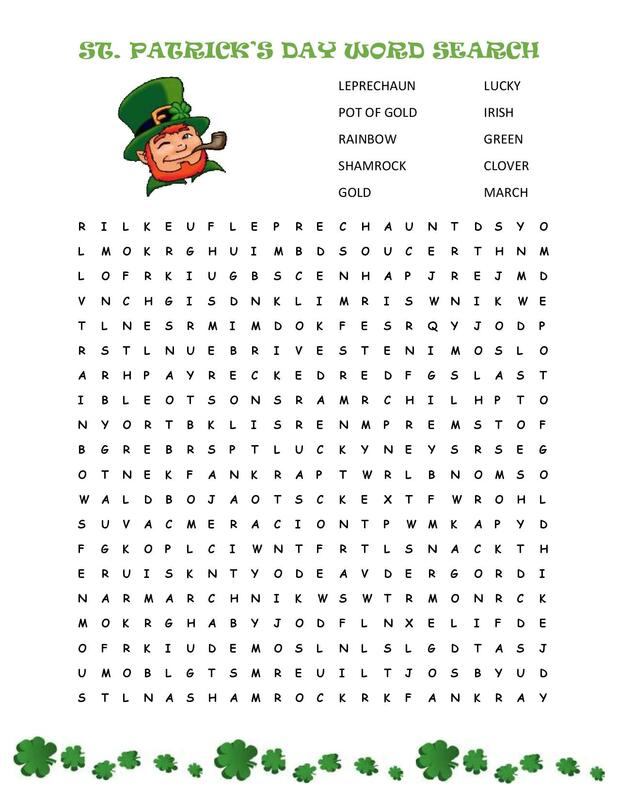 Theyre all free.